$10 imprint set up for this item on orders under 5 dozen. 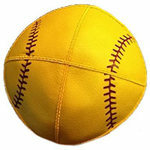 Look for Mazeltops Baseball Kippot in the new Brad Pitt Movie Moneyball..... Imprinting in Gold or Silver, Hebrew or English or both $39.00 per dozen* *Except for the Jordan 2 color on leather. With an order of 5 dozen or more (60) imprinting is included. If you wish to order less than 5 dozen, there is a $10.00 setup charge. 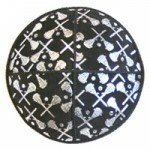 Although you can have any imprinting you want the dyes are already made for the design. 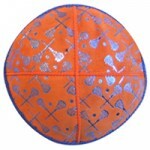 If you order kippahs for a Bar/Bat Mitzvah and use the typical wording: " BAR MITZVAH OF" BAR MITZVAH will be rounded and there will be a swirl on each side of the word OF. If you write " THE WEDDING OF" the dye for that design is straight letters and there is no swirl on either side of the word OF. If you just write " WEDDING OF" Wedding will be curved and there will be a swirl on both sides of the word of. 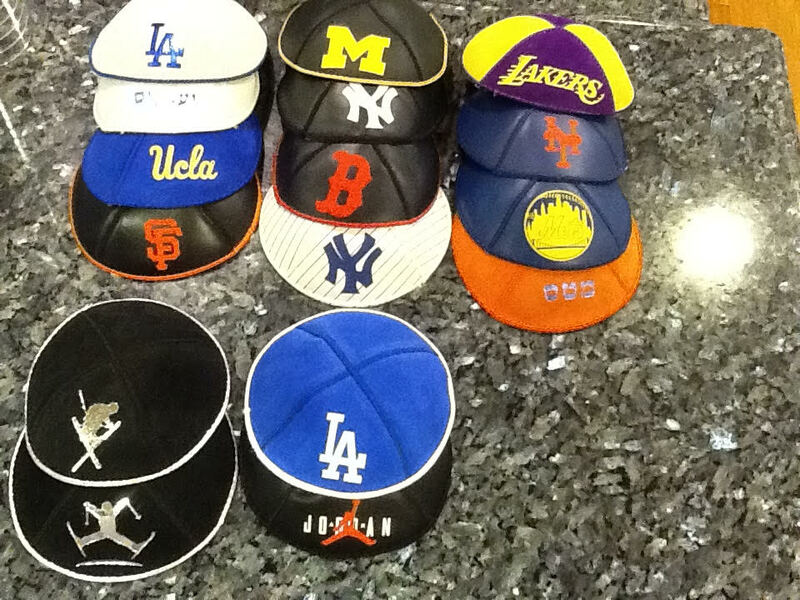 More assorted sports teams. Call to see which teams we have. Michigan - See silk screen page for pricing.